Free event but sign up required! 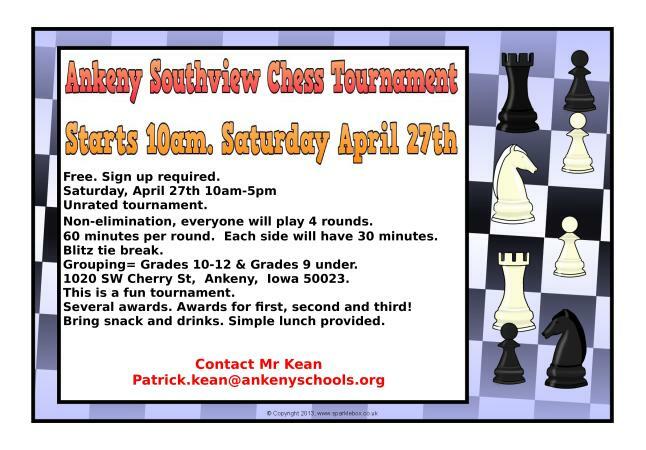 Tournament will take place Saturday, April 27, 10am-5pm. This is an unrated tournament. Non-elimination, everyone will play 4 rounds. 60 minutes per round. Each side will have 30 minutes with a Blitz tie break. There will be several awards including awards for first, second and third! 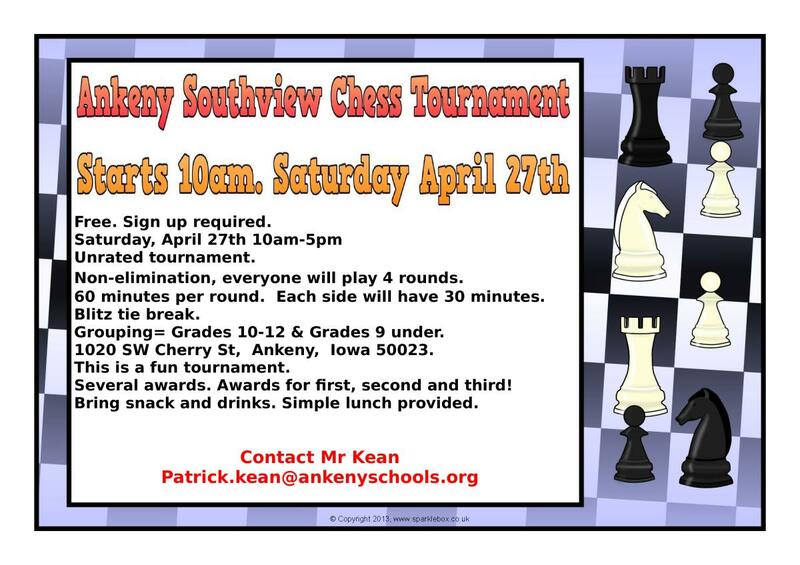 Further information: Contact Mr Kean at Patrick.kean@ankenyschools.org.